Saudi Arabia and its Gulf Arab allies welcome Trump’s decision to withdraw from 2015 Iran deal. 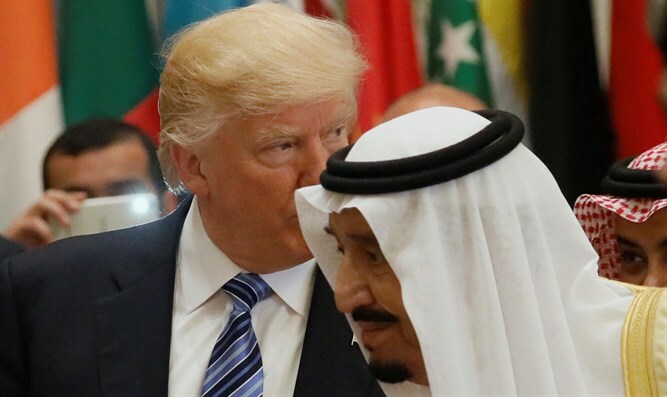 Saudi Arabia and its Gulf Arab allies on Tuesday welcomed President Donald Trump’s decision to withdraw the United States from the 2015 nuclear agreement with Iran. “Iran used economic gains from the lifting of sanctions to continue its activities to destabilize the region, particularly by developing ballistic missiles and supporting terrorist groups in the region,” the Saudi foreign ministry said in a statement quoted by Reuters. It backed Trump’s move to reimpose sanctions and urged the international community to work toward a “comprehensive view that is not limited to its nuclear program but also includes all hostile activities”. Riyadh repeatedly spoke out against the 2015 deal. During the negotiations between Iran and world powers, Saudi Arabia and other major Sunni states expressed concern over a deal which would allow Iran to produce nuclear weapons. In March, Saudi Foreign Minister Adel Al-Jubeir called the Iranian deal a "flawed agreement", calling out Iran for its destabilizing behavior in the region. Trump, echoing Riyadh and Abu Dhabi’s stance, has frequently criticized the accord because it does not address Iran’s ballistic missile program, its nuclear activities beyond 2025, or its role in regional wars.